Justice Broderick will share his own personal story about Mental Health and discuss R.E.A.C.T and Mental Illness. Contact Karen Morton Clark at 603.570.9446 or email at Kmortonclark@GranitePathways.org for more information. The language used to discuss and describe mental health and substance use has changed dramatically over the last 100 years. Modern and postmodern society has transcended labels such as teetotaler, derelict, crazy, and psycho, though iterations of these negatively associated phrases remain. Changing linguistic trends within the mental health and substance use disorder fields have been propelled forward by the inclusion of concepts such as person-first language; first by mental health advocates, and later co-opted by advocates within the substance use disorder space. Similarly, medical professionals are driving change towards the use of more clinically appropriate language (e.g. substance use disorders, rather than substance dependence and abuse), which is having both positive and negative impacts. What does your recovery look like to you? This is a question we need to be approaching all of our clients with first and foremost. Posing this question allows us to understand them better, identify where they’re at, and demonstrate genuine curiosity and commitment to the person as an individual. Isn’t that what we’re striving for as coaches? When a person thinks of the word recovery, to each of us the word brings a different meaning; a different outlook. As a society, while treatment certainly has its place and helps initiate recovery, treatment alone does not sustain recovery. With the shortage of “beds” and insurance coverage, we in the recovery coaching community would best serve others by soliciting from our recoverees what recovery looks like from their lens. Maybe they’re horrified by the word; maybe they’re having a hard time with acceptance; maybe we need to remove that barrier before we can proceed with forward movement? As Phil Valentine suggest in his blog post, by soliciting the information from the individual we’re meeting them where they are at and not imposing societal expectations, beliefs, or judgements on them; we’re creating a relationship of trust (a friend). To read Phil Valentines’ blog post click here. Ethics is essential in Peer Recovery Support, and the lines are not as black and white as the boundaries in clinical roles – which have a clearly defined code of ethics. Please take a glance at the National Certified Peer Recovery Support Specialist Code of Ethics I found on the NAADAC website. The NAADAC/NCC AP National Certified Peer Recovery Support Specialist (NCPRSS) Code of Ethics outlines basic values and principles of peer recovery support practice. This Code serves as a guide for – responsibility and ethical standards for NCC AP National Certified Peer Recovery Support Specialists. Peer Recovery Support Specialists have a responsibility to help persons in recovery achieve their personal recovery goals by promoting self-determination, personal responsibility, and the empowerment inherent in self-directed recovery. Peer Recovery Support Specialists shall maintain high standards of personal conduct, and conduct themselves in a manner that supports their own recovery. Peer Recovery Support Specialists shall serve as advocates for the people they serve. Peer Recovery Support Specialists shall not perform services outside of the boundaries and scope of their expertise, shall be aware of the limits of their training and capabilities, and shall collaborate with other professionals and Recovery Support Specialists to best meet the needs of the person(s) served. Peer Recovery Support Specialists shall preserve an objective and ethical relationship at all times. This credential does not endorse, suggest or intent that a Peer Recovery Support Specialist will serve independently. The Peer Recovery Support Specialist shall only work under supervision. 1. Agree to maintain a minimum of two (2) clinical supervision sessions per month totally at least 2 hours of documented clinical supervision. 2. Accurately identify my qualifications, expertise, and certifications to all whom I serve and to the public. 3. Conduct myself in accordance with the NCC AP NCPRSS Code of Ethics. 4. Make public statements or comments that are true and reflect current and accurate information. 5. Remain free from any substances that affect my ability and capacity to perform my duties as a Peer Recovery Support Specialist. 6. Recognize personal issues, behaviors, or conditions that may impact my performance as a NCPRSS. 7. Maintain regular supervision and ongoing support so I have a person with whom I can address challenging personal issues, behaviors, or conditions that may negatively effect my own recovery. I understand that misconduct may result in the suspension of my credentials. 8. Respect and acknowledge the professional efforts and contributions of others and not declare or imply credit as my own. If involved in research, I shall give credit to those who contribute to the research. 9. Maintain required documentation for and in all client records as required by my agency or the Federal requirements making certain that records are documented honestly and stored securely. Agency disposal of records policies shall be adhered to. 10. Protect the privacy and confidentiality of persons served in adherence with Federal Confidentiality, HIPAA laws, local jurisdiction and state laws and regulations. This includes electronic privacy standards (Social Media, Texting, Video Conferencing etc). 11. Use client contact information in accordance with agency policy. 12. Not to create my own private practice. 13. Reveal any perceived conflict of interest immediately to my professional supervisor and remove myself from the peer recovery support specialist relationship as required. 14. Disclose any existing or pre-existing professional, social, or business relationships with person(s) served. I shall determine, in consultation with my professional supervisor, whether existing or pre-existing relationships interfere with my ability to provide peer support services person(s) served. 15. Inform clients of costs of services as established by the agency for which I am employed and not charge person served beyond fees established. 16. I will not sponsor individuals with whom I have previously served or currently serve as a Peer Recovery Support Specialist. 17. Clearly explain my role and responsibilities to those serve. 18. Terminate the relationship with a person(s) served when services appear no longer of benefit and to respect the rights of the person served to terminate services at his/her request. 19. Request a change in my role as a NCPRSS with a person being served if the person served requests a change. 20. Not engage in sexual activities or personal relationships with persons served in my role as a NCPRSS, or members of the immediate family of person(s) served. 21. Set clear, appropriate, and culturally sensitive boundaries with all persons served. 22. If at any point I feel I am unable to meet any of these requirements, I will immediately cease performance as a Peer Recovery Support Specialist and seek professional assistance. Thank you NH Harm Reduction Coalition for sharing this informational flyer on Methamphetamine. So many people kick against the past as though complaining loudly about personal history will bring resolution to the present problem. Step one in finding and maintaining peace is to accept what has happened to you or because of you. Then, use your limited supply of emotional energy and resources to create the future rather than foolishly fighting to fix the past. Finding the “right culprit” to blame is not a valid substitute for acceptance. Accept yourself and your situation honestly and begin making positive strides forward in faith and hope. Make a confident attitude and a strong character your goals. Resist the urge to try to change, fix, or control someone else. Limit yourself, examine your motives, and maintain your mood and disposition. Many people who are damaged by the past are more interested in controlling others than in controlling themselves. Refuse to let someone else’s treatment of you determine your mood. The negative situations or circumstances of the past do not control your future. You are always headed in the direction of what you think about and what you say. If you think and speak negatively, it will prevent your progress. However, if you think and speak optimistically, you will move in a positive direction. Poor choices and flawed decisions have lasting consequences. The tainted food eaten yesterday may make you sick today and tomorrow. Understanding this principle will help you endure the inevitable outcome of another person’s imperfect choices. You can endlessly dwell on the dysfunctional, neglectful, and abusive treatment that you endured. You could complain about it until it ate at you like a cancer. You could let it ruin your day today, and every day we call tomorrow. But you won’t. You are making a better choice. You can use your optimistic attitude, mentioned above, to make positive choices to build a satisfying future. Increase your independence, get stronger, and expand your life. Be an initiator in your own life rather than a responder of someone else’s. I often tell people to do the thing they need to do. If you need to get a job, get a job. If you need to go back to school, go back to school. If you need to protect yourself, protect yourself. If you need to move forward from the wounds of the past, move forward. Or, get yourself strong enough to do the thing you need to do. This is so true in recovery. You may feel weak, inferior and incapable. The truth is you are getting stronger. You are getting strong enough to do the thing you need to do. You are getting strong enough to love yourself and resolve the wounds from long ago. You can take care of your needs and assert your own opinions. As you get healthier, you will stand up for what is right and be able to defend yourself. This will enable you to create the life you want and achieve the long-term recovery you deserve. MANCHESTER — Serenity Place, the addiction-treatment program that fell into financial crisis last month, was divided up on Tuesday and parceled among several social service, drug treatment and health care organizations. The transfer of programs meant the end to a treatment and recovery operation that mushroomed in the last three years to accommodate the opioid crisis, the Manchester Safe Station program and the Hillsborough County North Drug Court in Manchester. Last month, Superior Court Judge Amy Messer put Serenity Place into receivership at the request of New Hampshire Attorney General Gordon MacDonald after the organization could not pay bills. The top officials of the organization, including Executive Director Stephanie Bergeron, resigned before the receivership. “There is no path forward we can see for Serenity (Place) to operate independently,” said Tom Donovan, MacDonald’s director of charitable trusts, on Tuesday. Donovan, said services will continue for all people enrolled in Serenity Place programs. But 21 Serenity Place employees will not be transferred to jobs in the new organizations and will be laid off. On Tuesday, Messer approved the latest plan sought by Donovan. • Families in Transition, the organization appointed receiver of Serenity Place, will assume control of two transitional living programs — Tirrell House for men and Lin’s Place for women. • The Farnum Center will take over intensive outpatient program, outpatient services, and the crisis program Respite, which provided a bed for people who went through Safe Station. Respite will move to 700 Lake Ave. Farnum Center Director Cheryl Wilke said Respite will become more of a treatment program than a residential program. • Manchester’s Elliot Hospital will provide programs associated with Hillsborough County North Drug Court. • The Seacoast-based Granite Pathways will open a location in Manchester and provide the recovery and support services for Serenity Place clients. • Several organizations will offer the impaired-driver education programs that Serenity Place has historically provided. • U.S. probation and parole officers will oversee drug testing and urinalysis. Many programs were operated under state contracts. Gov. Chris Sununu and the Executive Council are expected to meet todayand transfer the contracts. Families in Transition head Maureen Beauregard stressed that numerous organizations — including one from the Seacoast — have become part of a solution, and no one organization is bearing the burden. She said it represents the coming together of the treatment and recovery communities. “I know it’s a sad story about Serenity Place. If we’re to glean anything from this, it is the community has come together,” Beauregard said. Donovan also praised Manchester Mayor Joyce Craig and Health Director Tim Soucy for their work in developing the transition plan. Donovan’s filings with the court suggest the reason for some of the financial problems. State Medicaid officials were not paying some bills because services were not provided by properly credentialed providers. “I don’t know if it’s illegal, but it’s not a way to get paid,” he said. He said the Attorney General’s office continues to investigate Serenity Place. Donovan also disclosed that Serenity Place had a December bank balance of $8,645 when it was placed into receivership. Its operating deficit exceeded $1 million. Tuesday’s ruling does not address the $153,000 that the organization owes about 50 contractors and tradespeople, Donovan said. Serenity Place owns one piece of property — a treatment center on Manchester Street. Several mortgages are attached to the property, but Donovan believes some equity exists. Former attorney general Joseph Foster, who represents FiT, said a “mini-bankruptcy” could take place, in which lawyers will ask Messer to approve a future payment plan. Hello, A colleague passed this article on and it’s worth a read. For some, this information may be enough, or at least a start. 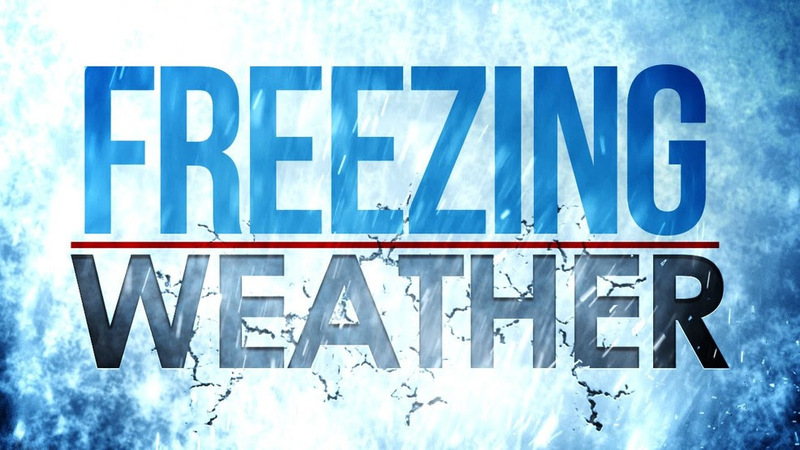 We need volunteer help immediately and food, refreshments, and coffee for an emergency 24 hour warming shelter in Rochester at the Recreation Center at 150 Wakefield St. (back entrance to Great Room)! SOS is working with the City of Rochester, the Strafford County Public Health Network, Emergency Management, Rochester Fire, Tri-City Coop and the Rochester Rec Center to provide a warming center 23 hours a day through at least Monday due to the bitter cold. Dinner will be being served this evening by Straight Street Outreach at the center. We have cots and blankets set up and had approximately 20 people last night spend the night. We told them if they provide the space we will get the volunteers to staff it, so please help if you can. We desperately need volunteer staffing. Sign up here: http://www.signupgenius.com/go/60b0e4caeaa2aa2fb6-rochesterAll you need to do to staff is come down and keep an eye on things help people coming in, greet them, show them where the showers are and provide any support needed. We also need some donations of food, snacks, coffee, beverages and whatever you might offer to keep peoples stomachs filled while they get out from this bitter cold! We have created an online sign up that you can sign up for shifts. We have a dire need to get slots filled for today as early as 8am this morning! We opened the center last night by 6pm on about 2 hours notice. Anything you can do to sign up and help or drop food or beverages off would be greatly appreciated. Center entrance is in the middle rear of the Rec Dept at 150 Wakefield St. in Rochester! This is the only warming shelter that will operate 23 hours in the area. Please be sure to get word out to anyone who needs it. 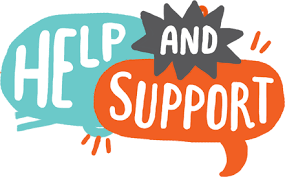 On behalf of everyone at SOS Recovery Community Organization thank you in advance for all you do to make this such a fantastic community with so much love and support. 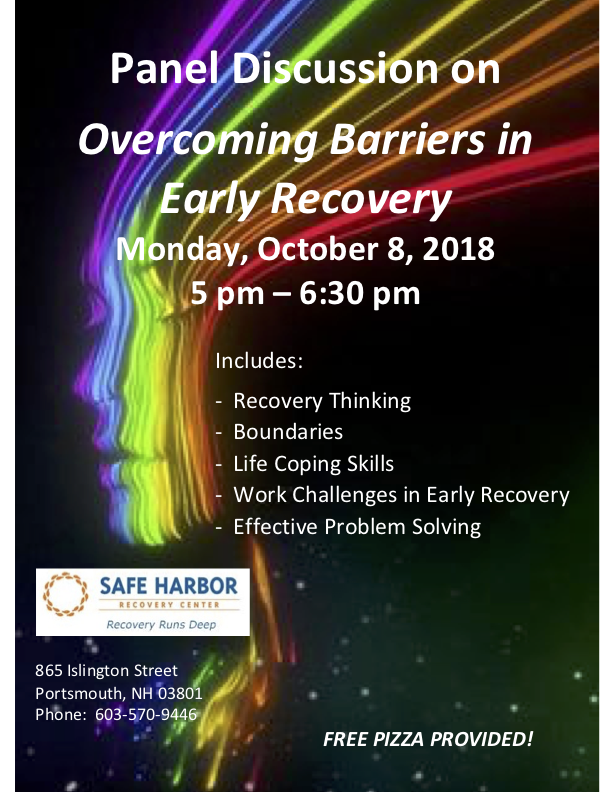 SOS Recovery Community Center Rochester, NH Phone 603.841.2350.